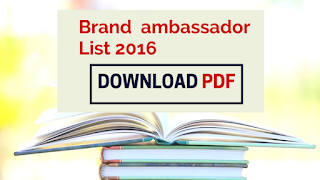 We collected the list of recently appointed Brand & Campaign Ambassadors in 2016 from the month of January to October and provide you in a PDF Format. 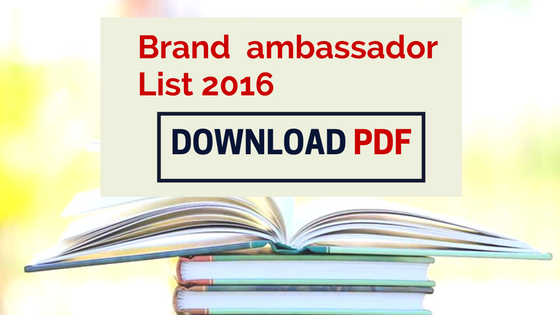 This PDF will provides you insight into current affair events that are important for competitive exams. This PDF is uploaded by cloud affairs .